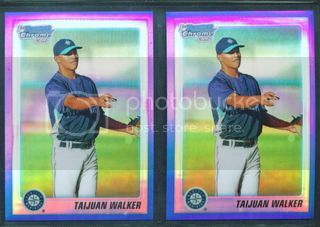 Thread: Taijuan Walker Blue Refractors For Sale! Scan! $40 for the two. A purple ref just got $15. Scan is below. Re: Taijuan Walker Blue Refractors For Sale! Scan!